On Thursday night, Pittsburgh Steelers wide receiver Antonio Brown was speeding through the Carolina Panthers secondary on his way to a 53-yard touchdown reception. However, it was Brown’s speeding in his black Porsche earlier on Thursday morning that resulted in him being charged with reckless driving. According to the police, Brown passed a police officer while allegedly driving over 100 mph in 45 mph speed limit zone. The incident occurred in Ross Township, which is a suburb adjacent to Pittsburgh. However, what type of penalty would brown be facing if he was charged with speeding 100 mph and reckless driving in North Carolina. First of all, although both of these charges are related to speeding, both of these North Carolina traffic charges are considered misdemeanors under North Carolina criminal law. Let’s consider the speeding ticket with respect to North Carolina traffic laws. Under North Carolina General Statute 20-141(j1), “a person who drives a vehicle on a highway at a speed that is either more than 15 miles per hour more than the speed limit established by law for the highway where the offense occurred or over 80 miles per hour is guilty of a class 3 misdemeanor.” Under North Carolina law, a class 3 misdemeanor is punishable by up to 20 days in jail and a maximum fine of $200. 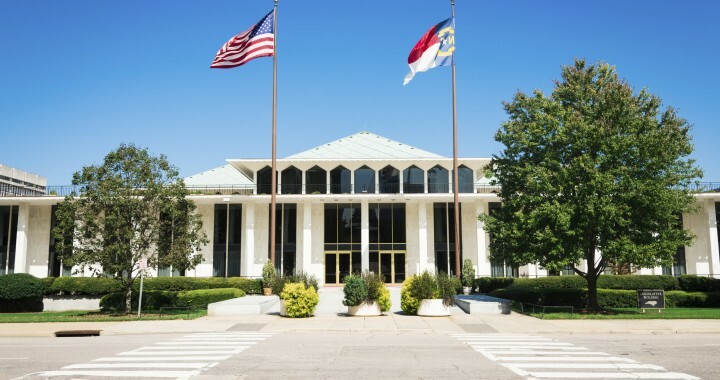 More importantly, a North Carolina conviction for excessive speeding will result in a mandatory suspension of your North Carolina drivers license. (1) “drives any vehicle upon a highway or any public vehicular area carelessly and heedlessly in willful or wanton disregard of the rights or safety of others” or (2) “drives any vehicle upon a highway or any public vehicular area without due caution and circumspection and at a speed or in a manner so as to endanger or be likely to endanger any person or property”. So what are your options if you charged in North Carolina with reckless driving and/or a high speed North Carolina speeding ticket? If you are charged with a North Carolina speeding ticket or traffic ticket in Winston-Salem, or one of the surrounding areas, please call us today at (336) 725-6559 for a free consultation with an experienced Winston-Salem traffic attorney. Our office is conveniently located in Winston-Salem, and we handle North Carolina speeding tickets and traffic tickets in the following counties: Forsyth, Davie, Yadkin, Davidson, Guilford, and Stokes.